What’s the scoop: The Sons of the Harpy eerr Agents of Liberty have taken to the streets to harass aliens. An unfortunate couple of them run into Manchester and Supergirl and get their butts kicked, but not before someone drops the group’s manifesto all over National City. The leaflets have coded instructions to mark alien houses (some Agents have trained their dogs to sniff out aliens). 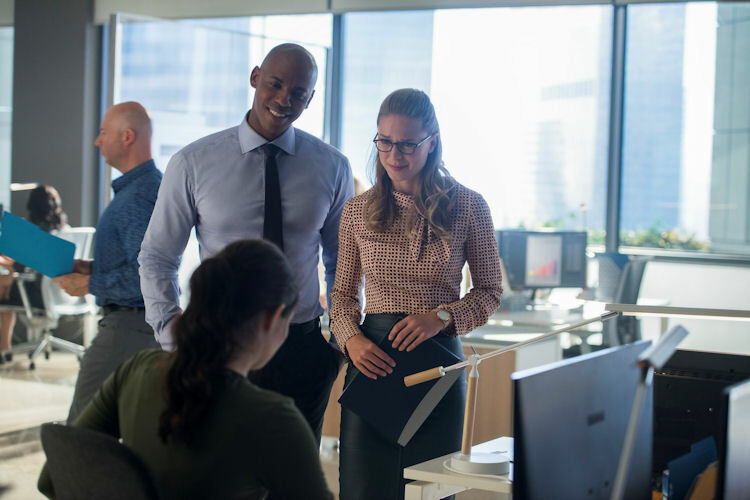 James is trying to use his connection as Guardian to infiltrate the group and meet the main man himself, much to Lena’s protests. The team eventually figures out that the Agents of Liberty are going to make their move at sunset on Thanksgiving, which doesn’t give the group much time to react. Meanwhile in B-plot Land: Take your pick, here. We’ve got Alex disobeying her boss’ orders and continuing to investigate the Agents. Or, how about Manchester capturing the Agent of Liberty cop he met a couple of episodes back, torturing him for information, and then ambushing a tiki torch wielding (subtle as a sledgehammer imagery there) group of Agents, and shooting them all in cold blood. There are also people noticing that Nia is asleep a lot, and not telling the truth about it. Also, Lena is conducting clinical trials with some alien gizmo she stole last season. While it doesn’t kill tumors, it does grant invulnerability. 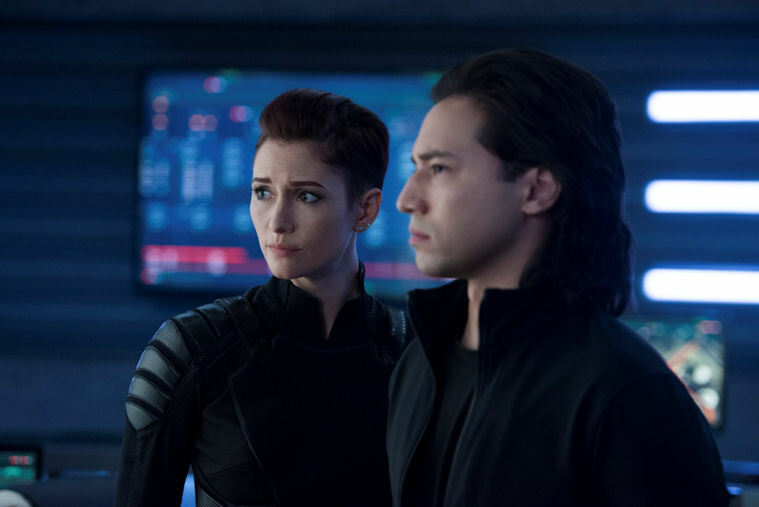 Meet Me on the Balcony: No balcony, but as Thanksgiving tradition dictates, there were some feelings shared at the Danvers dinner table. 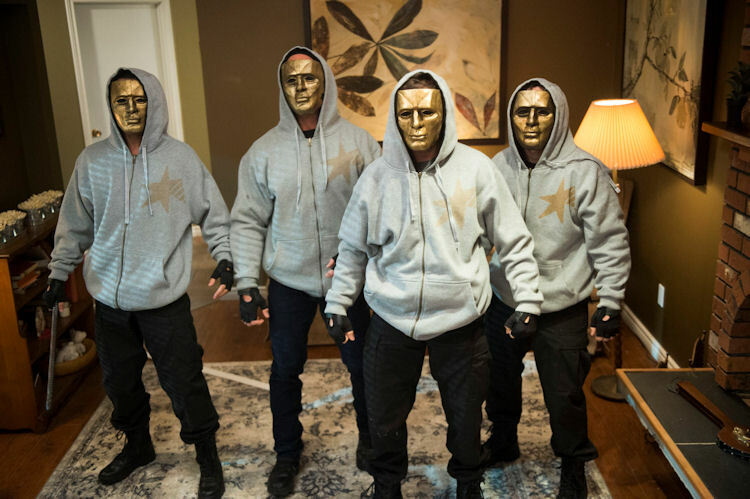 What about the action: … Mostly guys in golden masks getting beat up. The main sequence involves the Agents of Liberty biting off a little more than they could chew, by busting into a house of humans who just to happen to be keeping a shapeshifting lizard as a pet. The little girl who cares for Spike the lizard-alien asks for help when the Agents bust down her door. Spike becomes a dragon, and chases off the masked marauders. Supergirl briefly battles it, before the little girl tells Alex what’s up. Kara gives the standard “good boy” to the dragon and the crisis is solved. What’s next: Lena officially has the crazy eyes now. She’s blown a fuse over her obsession with keeping Jimmy safe. She’s not quite reached full supervillain yet, but she definitely qualifies for the dental plan run by the mad scientists. And, Ben Lockwood is getting his own TV show to spout his humans first rhetoric to a larger audience. Last impressions: There’s not been as much action this season as in past years, because the season antagonist is more of a concept than a single manifestation of evil that Kara can punch. To make up for that, Supergirl has packed every episode with a cluster of different storylines. They are all loosely connected to the main humans vs. aliens story, but the move has also fractured the characters, negating the chemistry the main cast forged over the last few years. 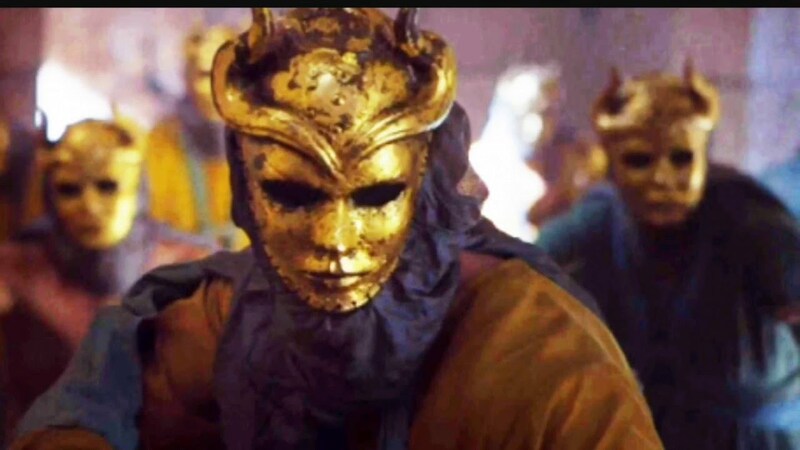 That being said, this episode was better than most this season, despite the Game of Thrones distraction. The action-exposition ratio was pretty well balanced. The writers are doing just enough to keep me interested in what is going to happen next.